While Japanese food has been highly respected and appreciated by the entire world, Japanese sake has been gaining significant space on liquor store shelves. 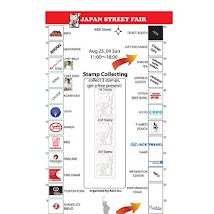 Chiyomusubi Shuzo Co., Ltd., a 120-year-old prominent Japanese sake brewery from the heart of a sake manufacturing region in Japan, has been introducing their top-of-the-line products to the U.S. market since 2000. Chiyomusubi has also been well-respected for their shochu, which is a distilled alcohol drink often made from sweet potatos. 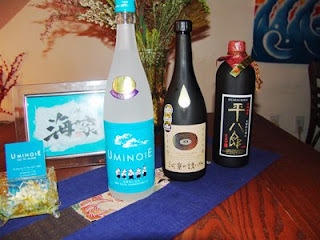 Their top-of-the-line shochu brand is Hama no Imota. Thanks to the superior quality of the local harvests of Tottori Prefecture, the hometown of the brewery, Chiyomusubi has been producing excellent shochu with the locally grown sweet potato and has introduced Hama no Imota to New York’s Japanese restaurants. The taste of this shochu is exquisite, never interfering with the taste of the accompanying food. The power of Hama no Imota is its own great flavor, yet it allows you to enjoy the taste of your meal at the same time. Uminoie is one bar where Hama no Imota is the star of the menu. 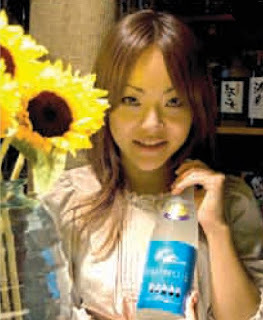 This bar, a casual and homey place that reflects its name, which means "beach house," is run by the friendly Mika Okui. She oversees the whole dining floor, serving drinks and homestyle Japanese comfort food. “Hama no Imota goes excellently with any dish,” Mika says proudly. Having been asked for the best matching dishes, she quickly fixed a few. One of them is Uminoie’s specialties, homemade udon. Delivered fresh directly from a local noodle shop in Japan, this noodle has a distinct “al dente” texture and a simple, fresh flavor. Even with a basic dish such as this, Hama no Imota complements the meal perfectly and even enhances the appetite. Hama no Imota guarantees the same level of satisfaction with vegetables, especially with Uminoie's Okra and Eggplant Appetizer, another bestseller at the bar. At this inconspicuous bar with no sign out on the street, Hama no Imota is requested so much that it is kept in Uminoie's special bottle, given to them by Chiyomusubi Shuzo Co. for hosting Hama no Imota in such as perfect venue and menu. This bottle has an ocean blue label that reminds of the southwestern coasts in Japan. In a dimly lit and easy-going atmosphere, Mika cooks and serves multiple Japanese homestyle dishes in the narrow kitchen area behind the bar efficiently. There is always laughter and jokes between Mika and her customers over Hama no Imota in a beach bar glass. Hama no Imota is perfect for a place like Uminoie, where, as Mika describes, “people gather until after midnight, enjoying conversation and a large variety of comfort foods. 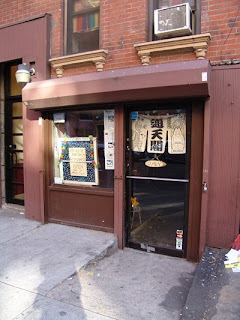 ”On a quiet street near bustling St. Marks Place in the East Village, this hidden “home” attracts Japanese shochu fans looking for a relaxing evening.